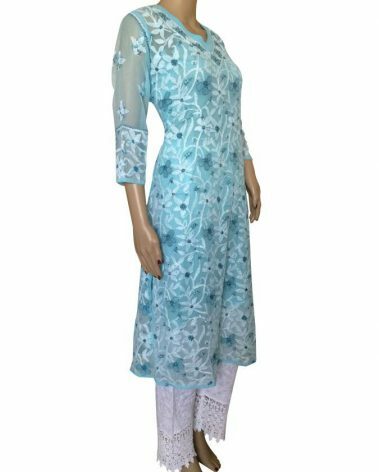 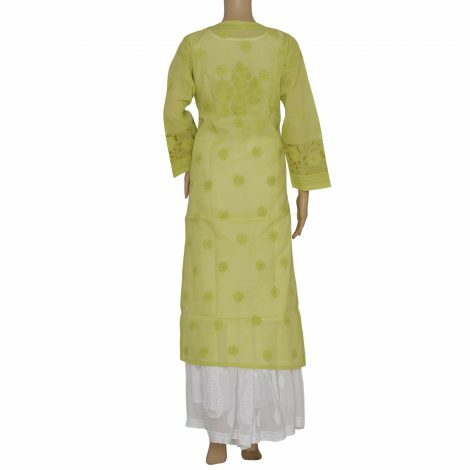 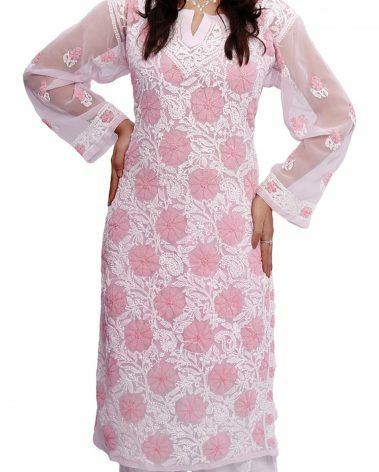 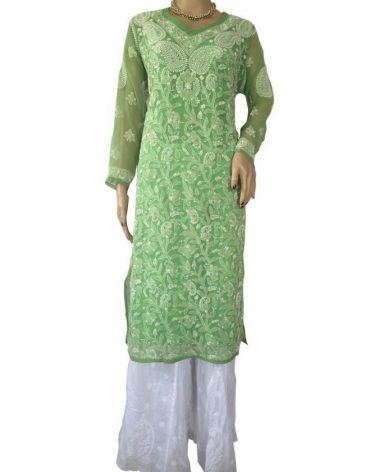 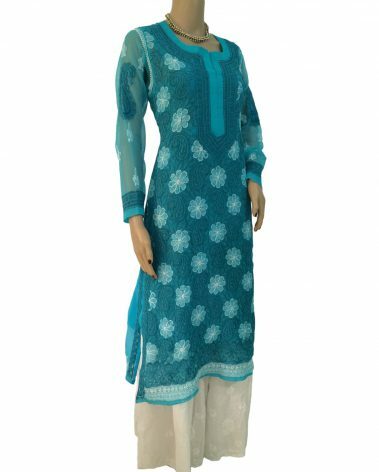 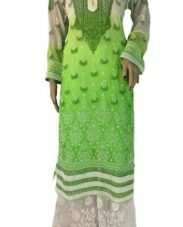 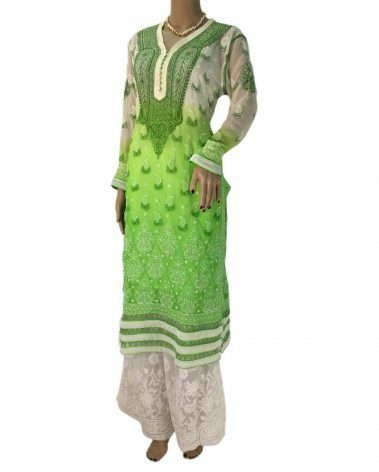 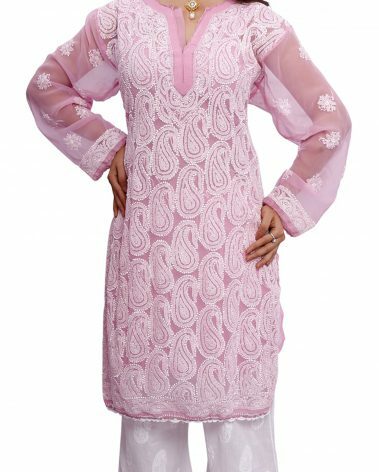 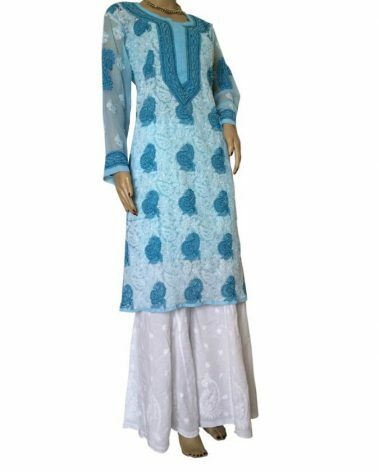 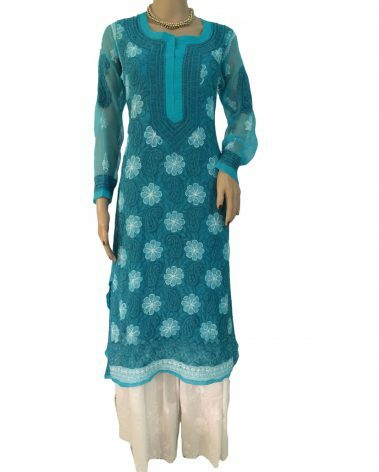 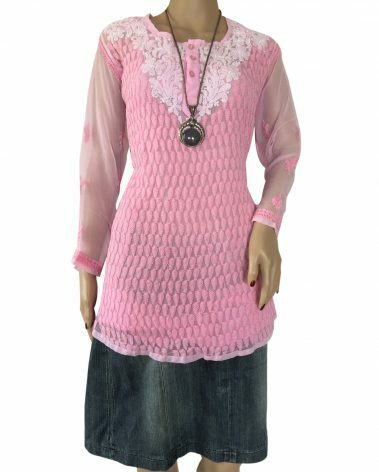 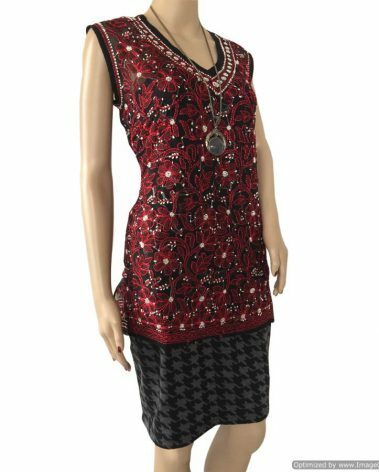 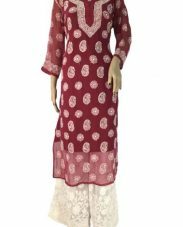 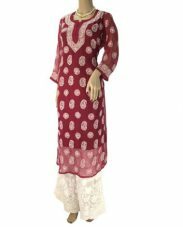 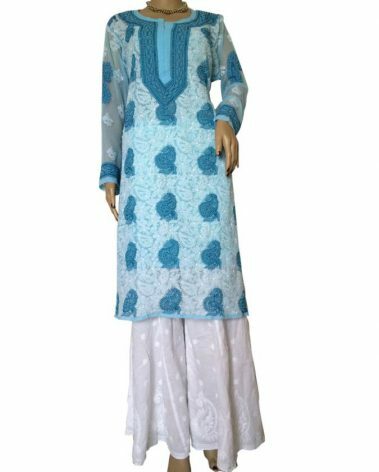 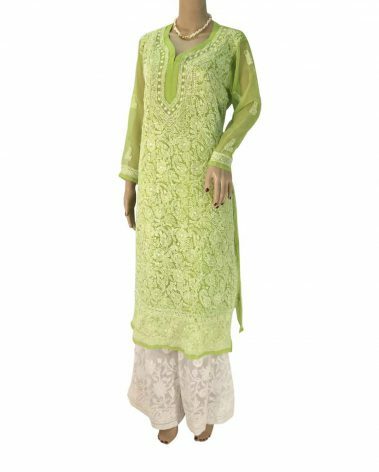 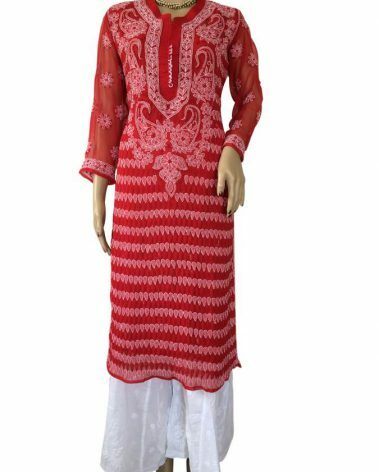 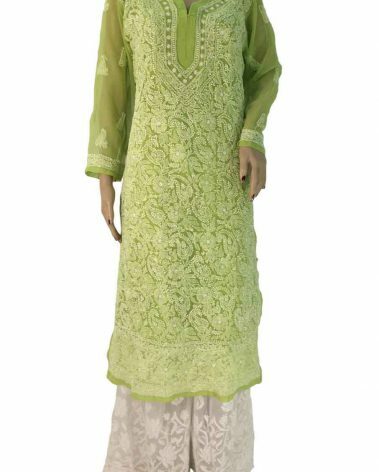 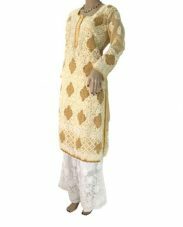 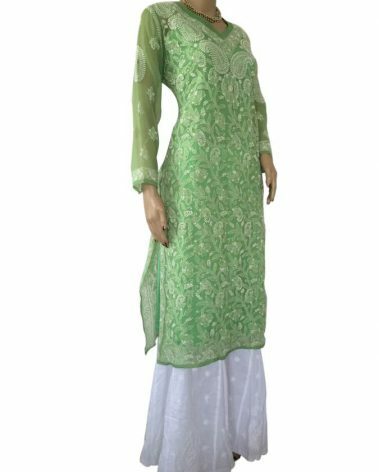 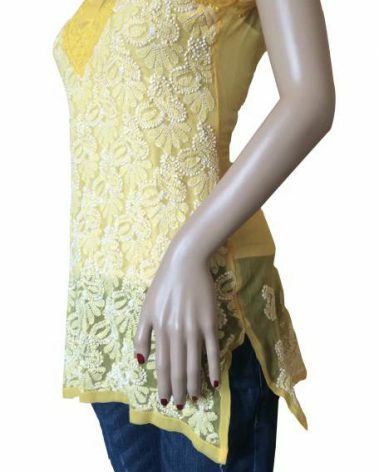 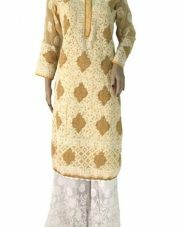 Mehendi Green Long Chikankari Cotton Kurti with intricate patterns in same tone and green highlights in front of kurti. 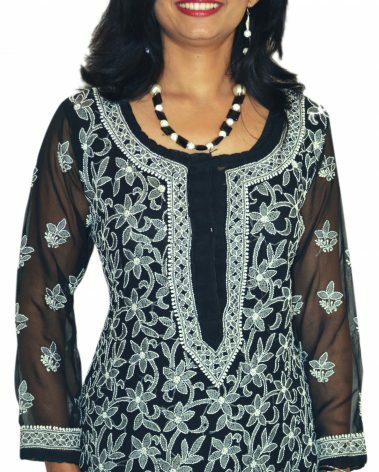 Hand Embroidery front jaal. 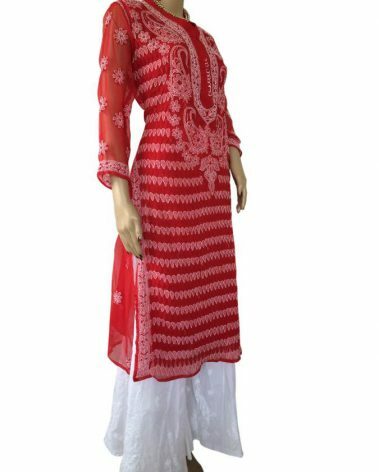 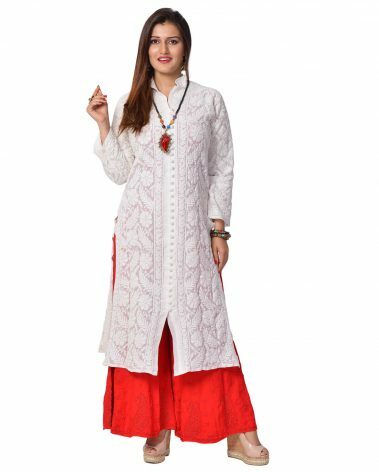 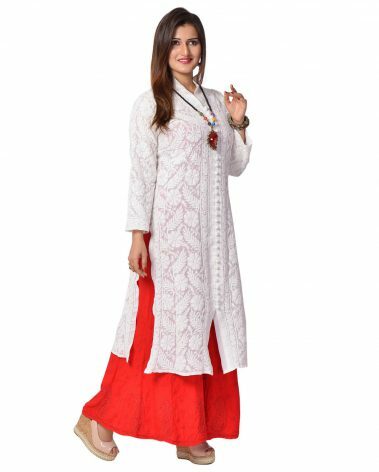 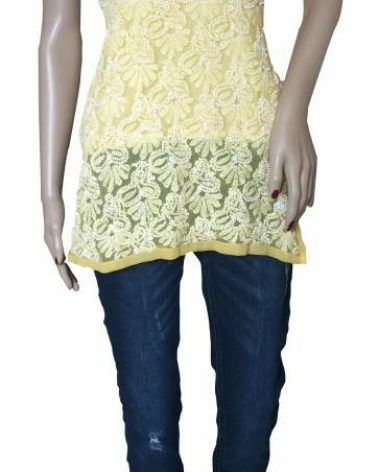 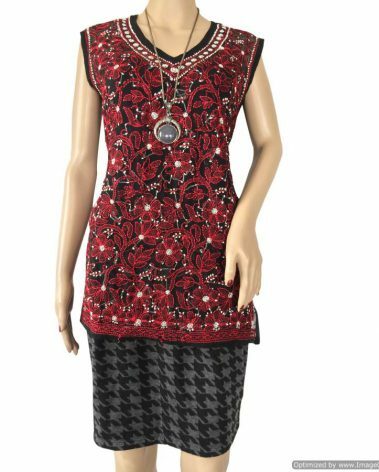 Best paired with Garara or Palazzo or Dhothi Salwar or Churidar.